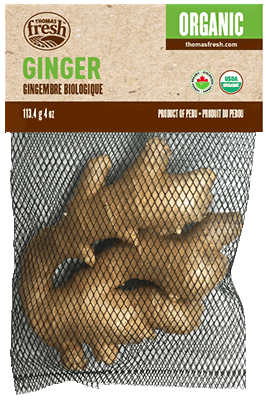 Thomas Fresh organic ginger is slightly dried to ensure long-lasting freshness. Bold taste of spicy and sweet. Smell described as “woodsy”. Knobby appearance, light brown skin with yellow inside. Slice or shave organic ginger. Add into hot water, teas, juices or Asian inspired meals. 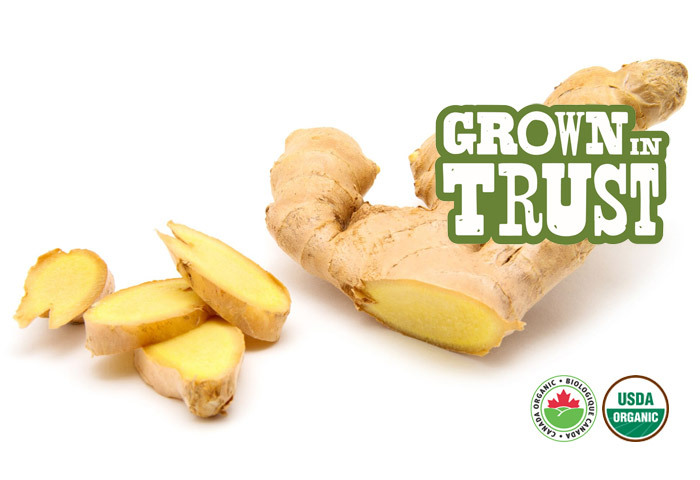 Ginger and honey mixed together in hot water or tea are said to have benefits on the respiratory system.